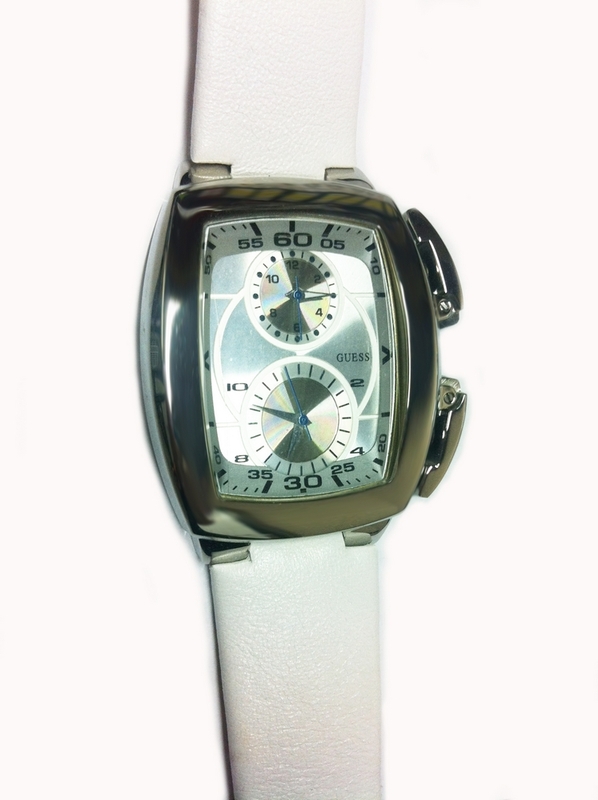 CHICO GUESS with white leather strap watch steel clasp closure and. Box HYPOALLERGENIC stainless steel water resistant 30 meters. Dial with chronograph second hand side.